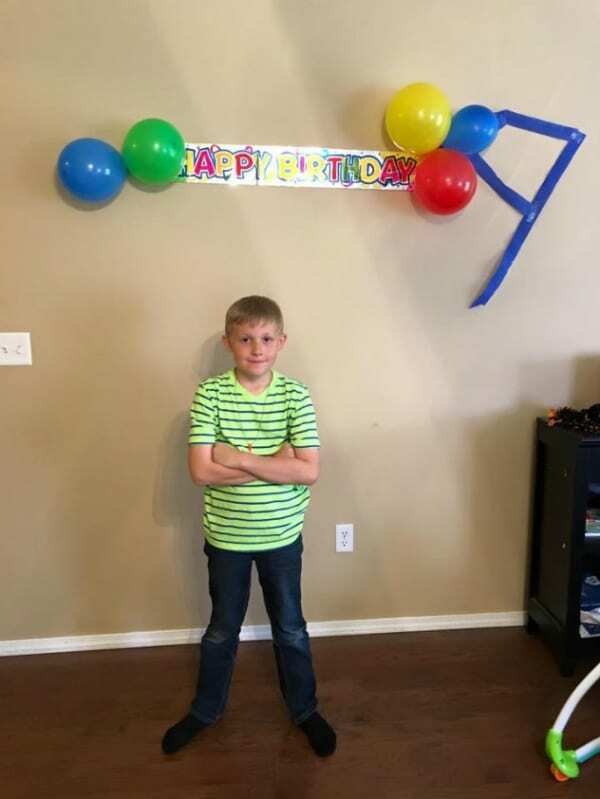 Mahlon Layne woke up bright and early to set up for his 9th birthday party. He could hardly contain his excitement as he decorated the house. His parents were nervous because no one had RSVPed, but they were holding out hope that everything would turn out fine. But when the time came for his friends to arrive, Mahlon’s mom Kirsten started to get nervous. Where was everyone? Kirsten watched as her son’s face fell, deflated of all optimism, like the balloons he had helped hang. 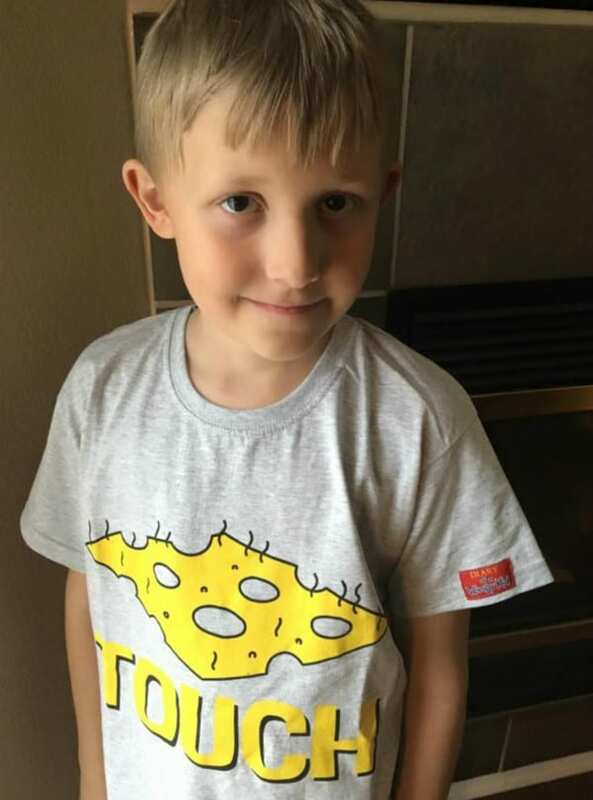 Mahlon would never forget his 9th birthday party; it would forever be etched into his heart. Although, for a totally unexpected reason. Mahlon was Kirsten’s easy child, the peacekeeper, among their otherwise chaotic house full of fussy babies and angsty adolescents. Mahlon was deeply empathetic to all living things, and such an avowed animal lover he was vegetarian by choice. He was happy just to make everyone around him smile. As a homeschooled kid, Mahlon didn’t have many friends. Coming from a big and loving family, he was always happy to play with his brothers and sisters. Birthdays had always been family affairs, and for a while, that was enough. But Kirsten knew it wouldn’t be long before he began to take notice, and long for friends of his own. 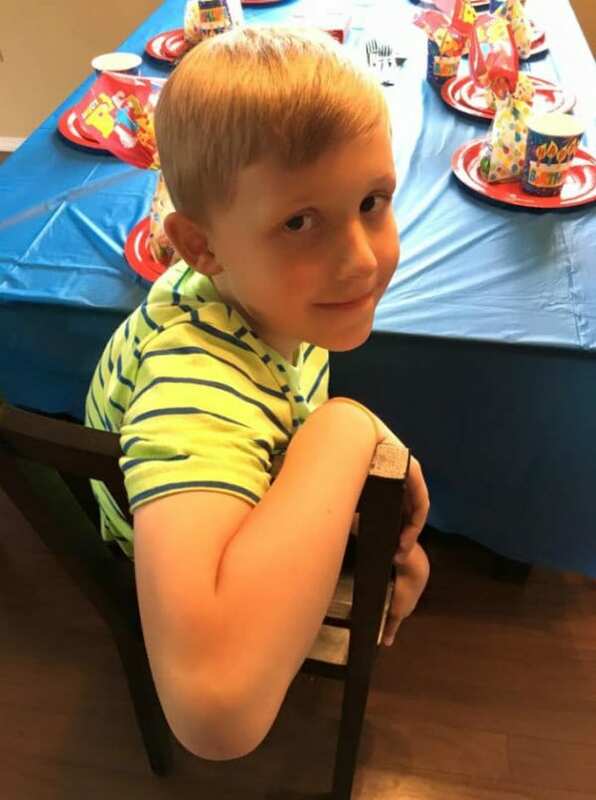 After years of celebrating his birthday with just his family, it was right before Mahlon’s 8th birthday party that he first expressed a longing for more friends. Kirsten did the best she could, and tried to invite a few family friends around the right age to his upcoming celebration at Chuck E. Cheese. A year later, the leaves began to change and October had arrived once more. New in town and still just barely adjusting to going to public school, Mahlon’s birthday was fast approaching. 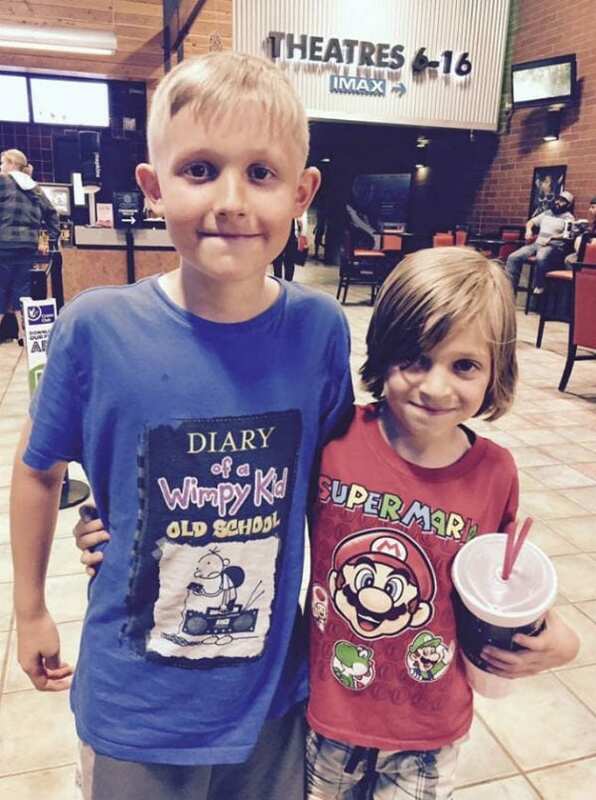 His favorite book series, “Diary of a Wimpy Kid” was obviously going to be the theme of his 9th birthday party, his first with friends. 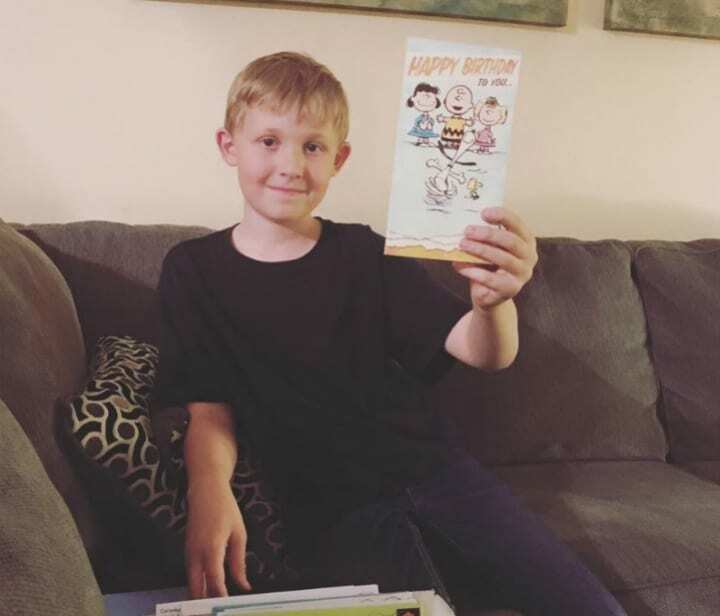 Kirsten wanted to give her sweet boy the birthday of his dreams, and even with the family finances on her mind, ordered custom “Diary of a Wimpy Kid” party invitations. Mahlon excitedly handed them out to friends from his class, and a kid from Tae Kwon Do. He couldn’t wait! Mahlon eagerly noted how many days stood between him and his first big birthday party with his new friends. 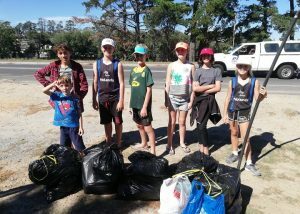 With six kids, a big lavish party was out of the question, still Kirsten did everything she could to make the day the best it could be for her son. Kirsten ordered a “Diary of a Wimpy Kid” cake topper, bought decorations, and looked up theme games the kids could play. All the while, Kirsten couldn’t help but have this nagging worry eating away at her excitement for her son — why had no one responded to the invitation’s request that parents RSVP? The morning of the party had arrived. Mahlon couldn’t contain his excitement and woke up so early it was still dark outside. 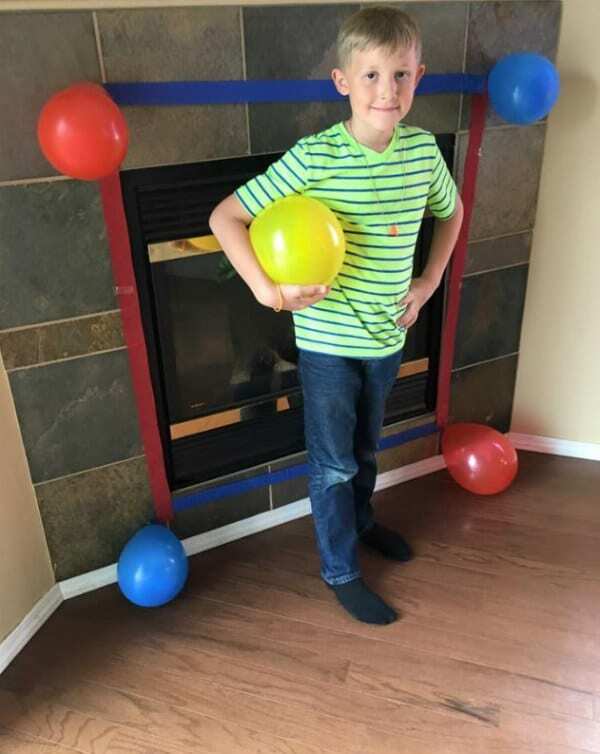 Without being asked, he helped his mom prepare for the party, hanging streamers, blowing up balloons and setting up the party games. Mahlon cleaned his room, washed up, picked out his outfit, and still there were hours left before anyone would arrive. 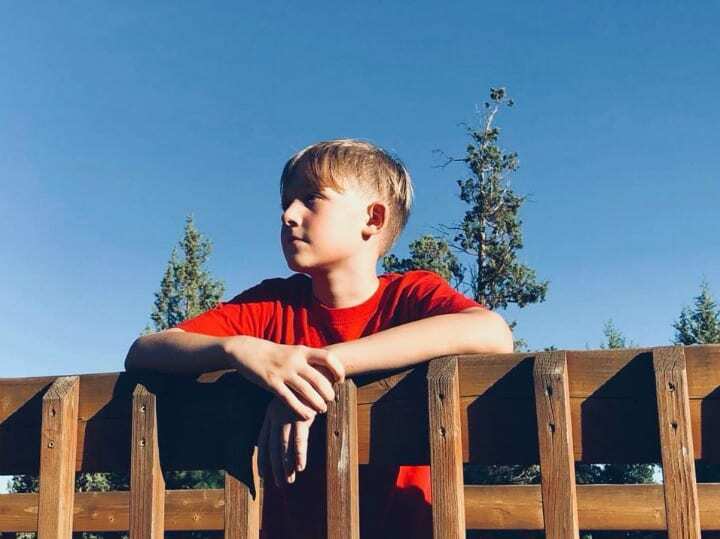 His face shining with the promise of his perfect party, Mahlon turned to his mother and said, “This is the happiest day of my life, Momma. I can’t wait until my friends get here!” It was going to be the best day of his young life. Finally, the time the party was set to begin had arrived, and Mahlon was overflowing with enthusiasm. Meanwhile, Kirsten was doing her best to quell the anxiety that was bubbling up inside – surely everyone was running late, or maybe they were having difficulty finding the house? Being new to the neighborhood and new to the school, Kirsten didn’t have any of the other parents’ phone numbers, but she had double and triple checked to make sure their address, phone number, email, everything, was listed correctly on the invitations. Growing a little anxious himself, Mahlon stood outside to watch as cars came up the street. The night before Kirsten confessed her concerns with her husband. Should they cancel? 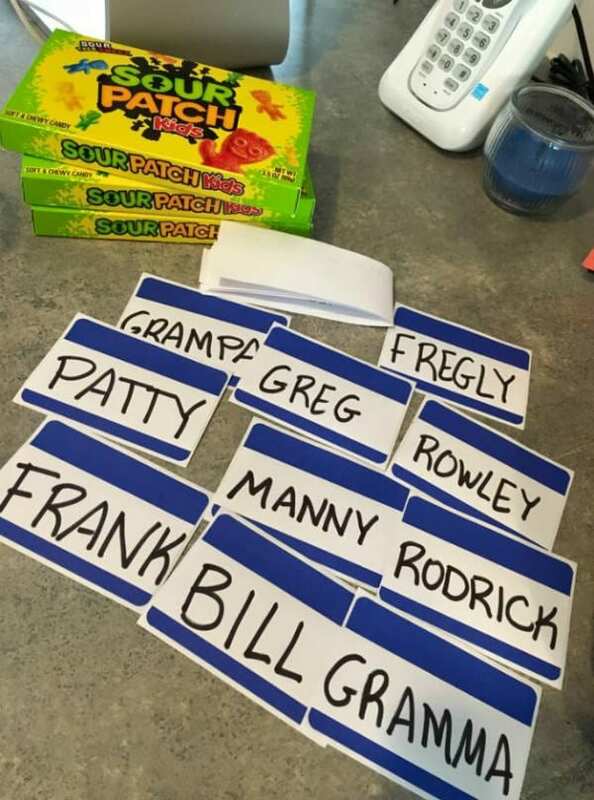 Her husband assured her that no one seems to RSVP anymore, but what kid doesn’t love a birthday party, surely, they’ll show up. Mahlon too, assured his mother a few of his friends had told him they’d be there. Worried that the kids would show up even if the party was postponed, Kirsten decided not to cancel at the last minute. After receiving a similarly RSVP-less response when planning her daughter’s birthday party still resulted in a few girls showing up, Kirsten hoped against hope the same would happen for sweet Mahlon. Mahlon began pacing outside, watching as each car came down the street only to keep driving past the house. 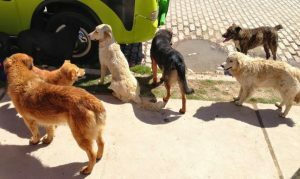 By the time his dad pulled into the driveway from picking up pizza for the party, everyone had realized that the worst-case scenario was already upon them. 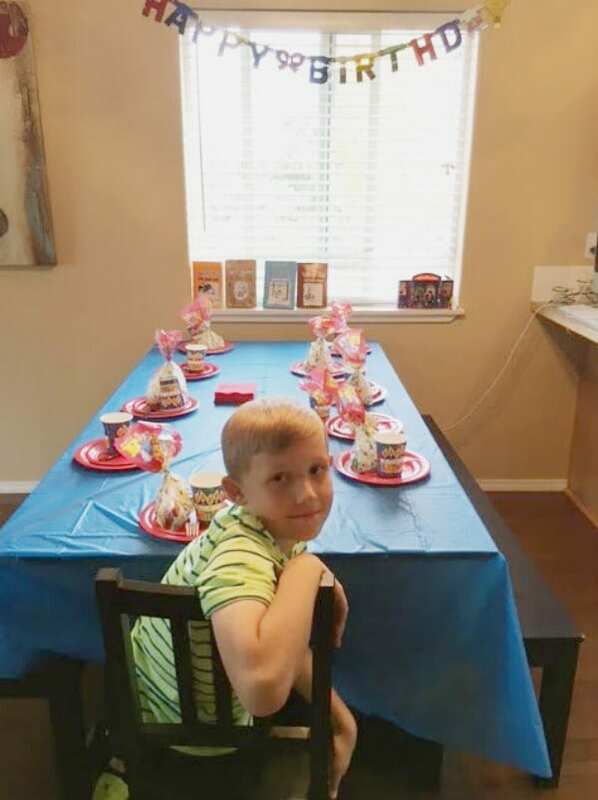 Looking at her son sitting there, surrounded by all the decorations and goodie bags he’d made for all his friends, the unplayed party games, Kirsten was hit with a powerful wave of devastation for her son. All she could do was to run to the bathroom before breaking down in tears. Quietly crying, Kirsten heard as her husband and father did their best to comfort a heartbroken Mahlon, sobbing in the other room. Pulling herself together, she went back out to try her best to salvage what was left of the day – anything to distract from what would unfortunately be a day young Mahlon would never forget. 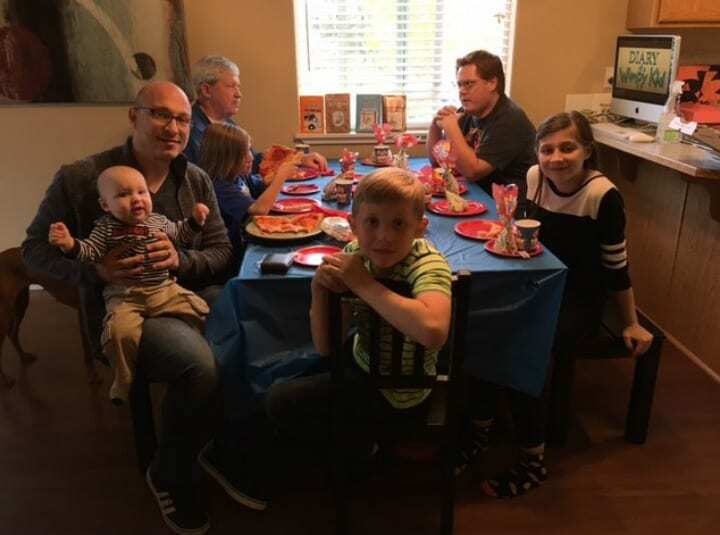 Making the best of a bad situation, the family all ate as much of the pizza as possible, played party games and of course sang happy birthday over Mahlon’s special “Diary of a Wimpy Kid” cake. By the time he was opening presents, the ever optimistic Mahlon was smiling again. 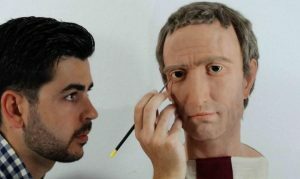 Still, Kirsten knew he would never forget his 9th birthday. Kirsten’s father suggested they take the party over to the bowling alley, and Mahlon ended his day distracted. 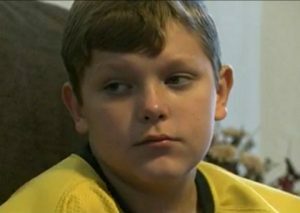 Despite the pain he had endured earlier in the day, Mahlon bucked up, and planned something special for school the next day. 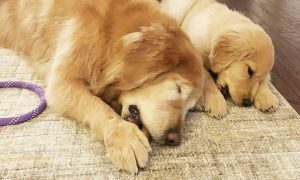 As parents, knowing they couldn’t keep their son from such sadness, Kirsten and her husband waited for the kids to fall asleep before completely falling apart. Even her husband, who she had only seen break down less than a handful of times, teared up thinking of how hurt Mahlon had been. Feeling frustrated and moreover, protective of her son, who didn’t deserve any of the disappointment he’d experienced that day, Kirsten took to her blog. After detailing just how a once-promising party for her son’s birthday was so disastrously derailed, she ended her post with a simple plea: parents, please RSVP. With that, Kirsten logged off, ready to forgive and forget, but her blogpost would take on a life of its own. The next day, Mahlon woke up for school. Though she was nervous he would dread facing the kids he’d thought were his friends, Mahlon would end up surprising his mother. In fact, Kirsten couldn’t help but smile when she saw her beloved son that morning. 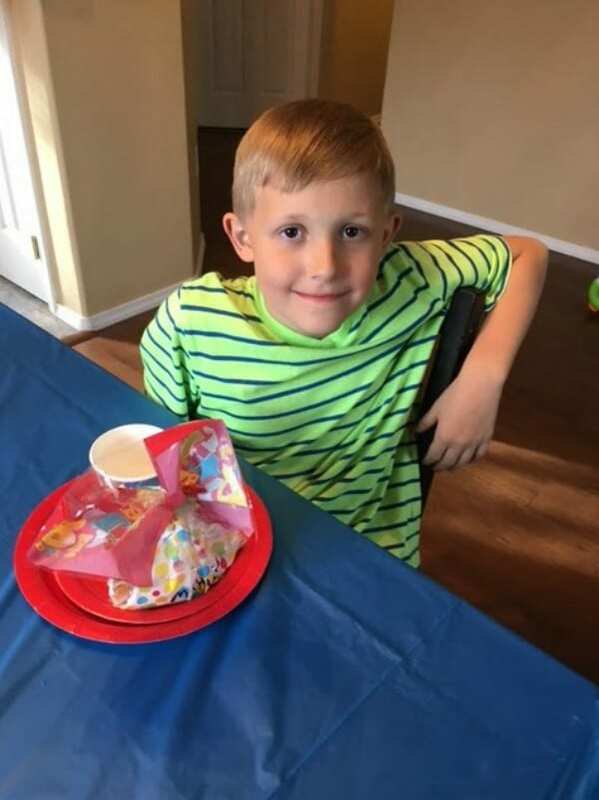 Putting on a happy face, Mahlon gathered up the goodie bags he had prepared for his no-show partygoers, fully prepared to give them out at school after the fact. Even after feeling such devastating rejection only a few hours prior, Mahlon was the positive peacekeeper Kirsten knew him to be, ready to forgive and move forward. Kirsten’s blogpost, to her absolute shock, had gone viral overnight. 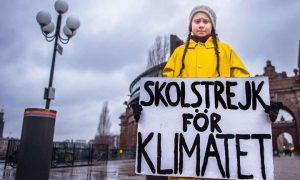 With the intention of simply venting her frustrations to whatever like-minded parents that read her little blog, her post had resonated with more people than she could ever have imagined. The response it received was almost entirely positive. People were sympathetic to her plight as a parent, and many shared stories of similar birthday parties from their pasts. Everyone wanted to wish Mahlon a happy birthday and the outpouring of love and support he was receiving from strangers was overwhelming. And even with so much positivity coming their way, that wasn’t all people were sending Mahlon. 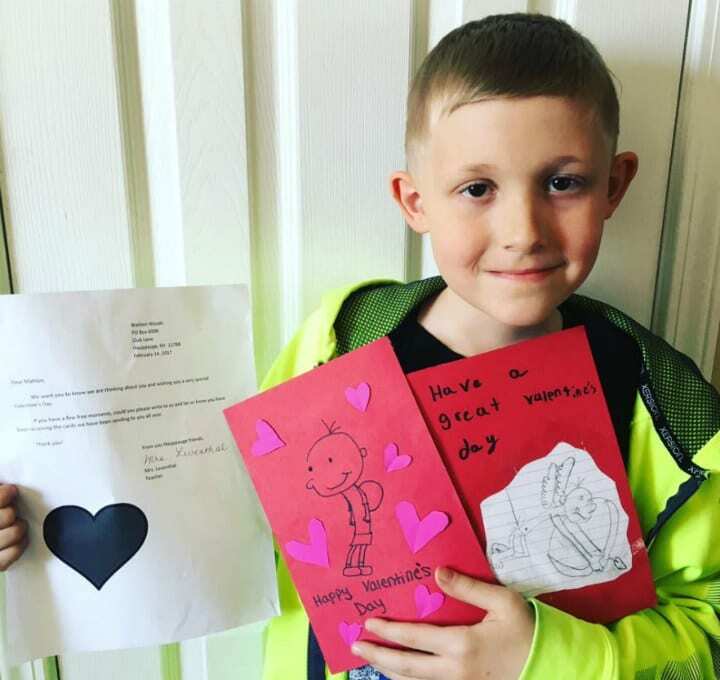 Following his mom’s blog post, the cards and presents came flooding in from around the world for Mahlon in honor of his 9th birthday. 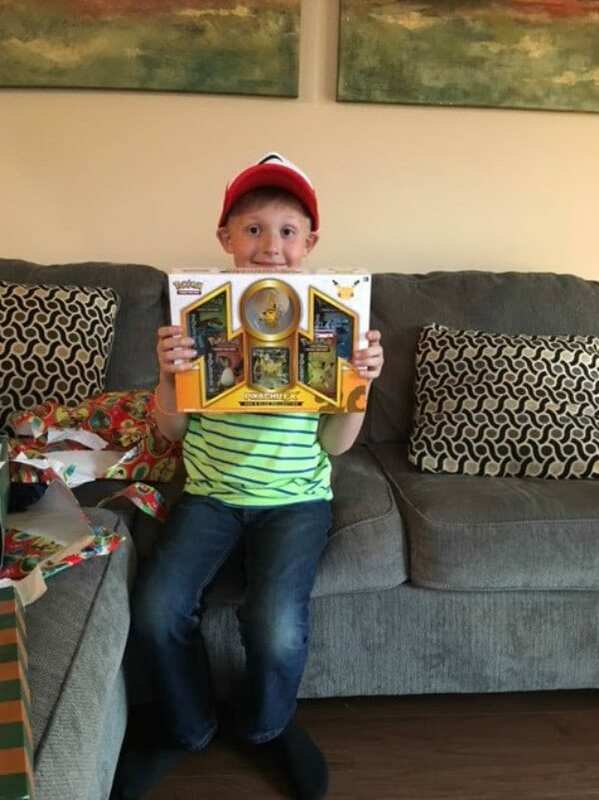 He got more gifts than a kid could ever dream of receiving getting on their birthday and Christmas combined – he even got an electric guitar! Major media outlets were covering Mahlon’s story and sending gifts. Mahlon was so grateful to everyone for all the gifts, and was comforted by how many people shared stories of being stood up on their birthdays, proving to him that he wasn’t alone. Soon, Mahlon would get the gift of a super special experience, one that would make him a local celebrity. 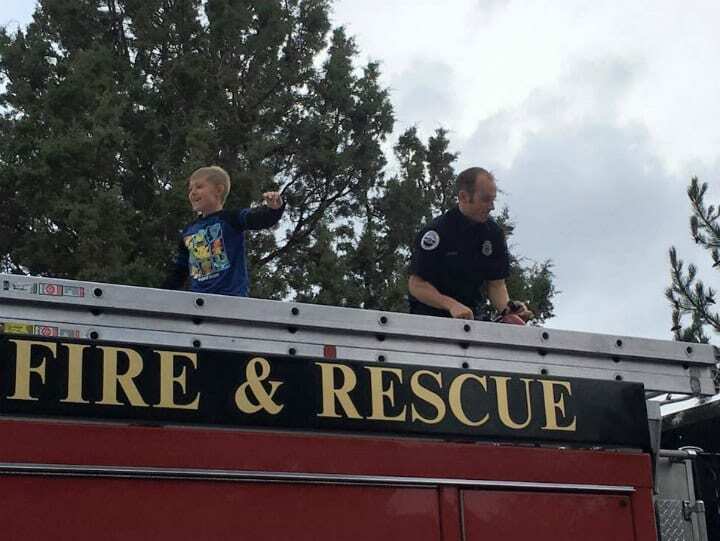 When the local ladder of the Oregon Fire Department heard about Mahlon’s birthday party that wasn’t, they wanted to do their part to make Mahlon’s birthday memorable for something more positive. Mahlon and his family were invited to a private tour of the fire station. Mahlon and his siblings got to dress in the firemen’s gear, use the house, and ride around their new town on top of the fire truck. Waving to passersby, Mahlon was absolutely beaming. It was easily the best day of Mahlon’s young life, but little did he know, the biggest surprise was yet to come. 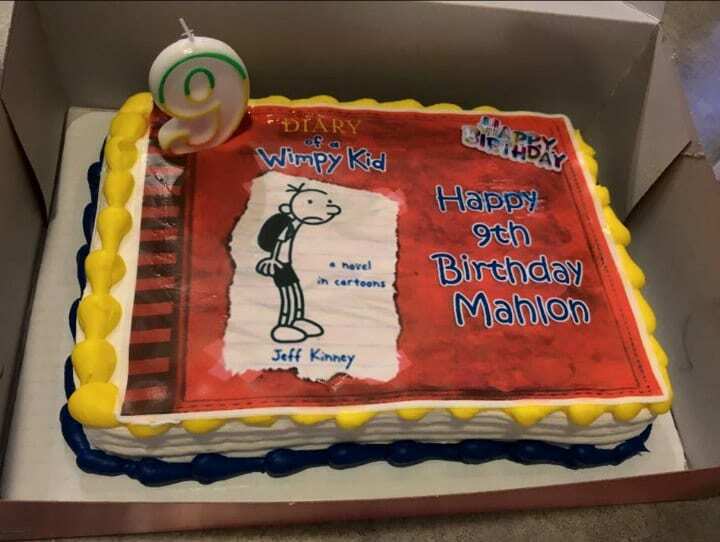 News of Mahlon’s missed birthday party had managed to reach the one person Mahlon admired most in the world, “Diary of a Wimpy Kid” author Jeff Kinney! 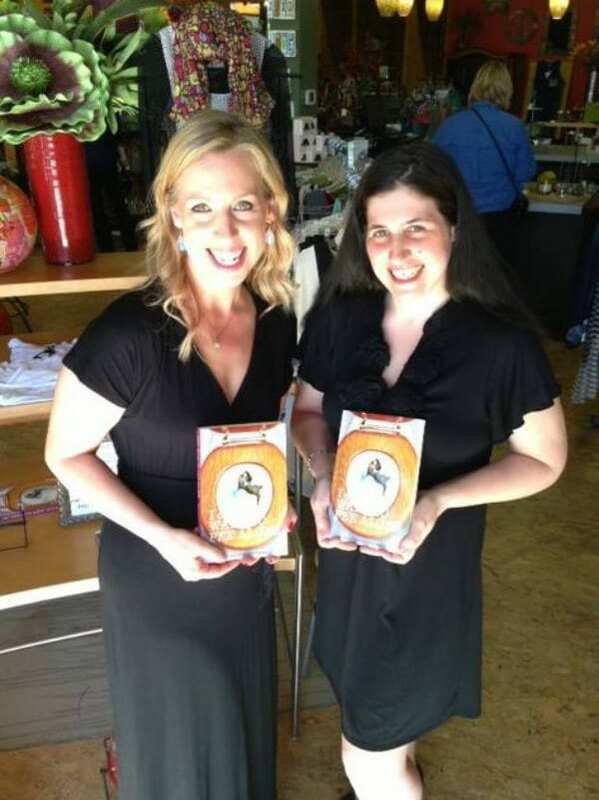 As an extra special surprise, Jeff Kinney had arranged with Kirsten to wish Mahlon a very personalized happy birthday. 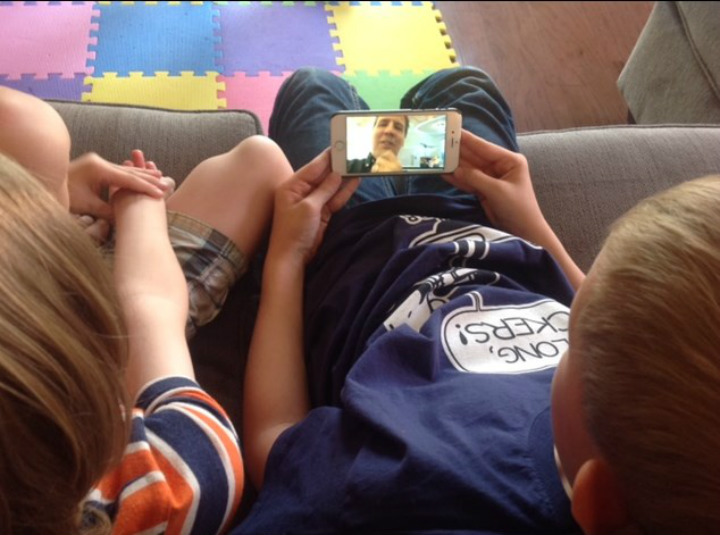 Mahlon Facetimed with his idol and was absolutely overjoyed at just the chance to talk to the man whose work had meant so much to him. Jeff Kinney showed Mahlon around his office, and the two spoke about all things “Wimpy Kid.” As if all that wasn’t exciting enough, Jeff Kinney had more surprises up his sleeve. Jeff Kinney sent Mahlon an advance copy of his new book. So advance in fact, that he was sworn to secrecy and instructed to savor his sneak peak at home only. Mahlon guarded the book with his life, and could not have been more honored to have been given something so precious by his hero. 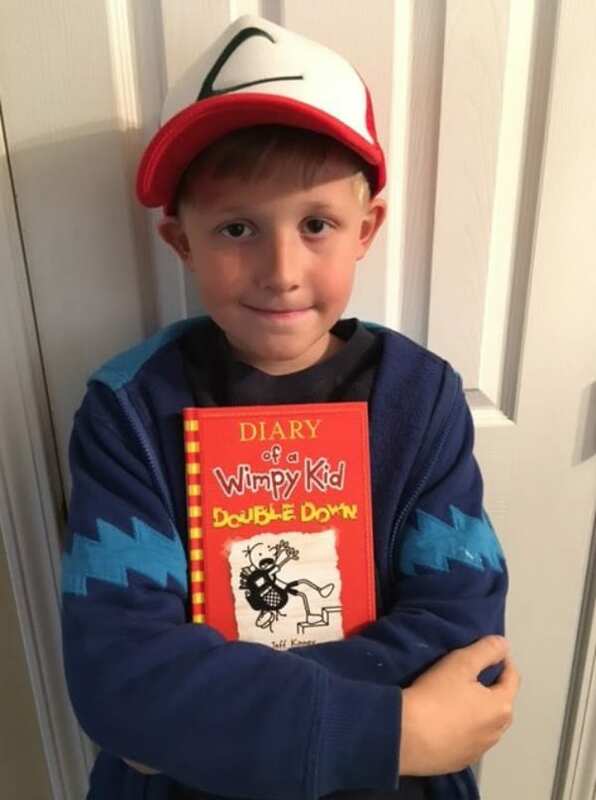 The experience of Facetiming with Jeff and reading the still unreleased latest installment of his favorite book series “Diary of a Wimpy Kid” inspired Mahlon to start his own comic. Still, there was one more thing Jeff Kinney wanted to do for Mahlon and the Layne family. As if sending him an advance copy of his new book wasn’t enough, Mahlon and his family were invited by Jeff Kinney to meet him in person. 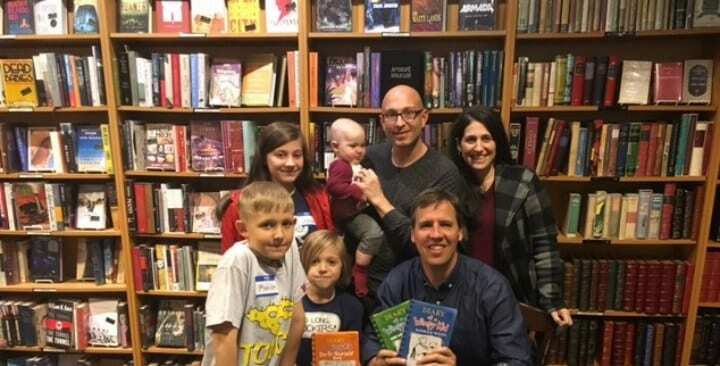 The entire family was flown to Seattle, and after a once-in-a-lifetime dinner with Mahlon’s personal hero, the family was also given reserved front row seats at Jeff Kinney’s latest book release. After introducing his newest addition to the Wimpy Kid series, Mahlon was called up on stage! Mahlon drew his comic book character “Jack” and expressed his unending gratitude to Jeff and everyone who had reached out after his failed birthday party. 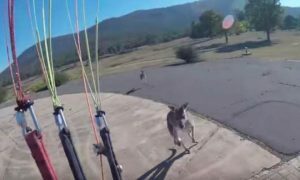 Even with all that viral fame, Mahlon was his same sweet self, and the kids at school were finally starting to take notice. Despite all the fanfare after Kirsten’s blogpost went viral, none of the original invitees’ parents reached out to explain their child’s absence or the lack of RSVP. Save for one mom, who was compelled to take responsibility for her part in Mahlon’s spoiled party. In a moment of honesty, the mother of one of Mahlon’s classmates admitted that there was no reason not to RSVP, and genuinely apologized. Kirsten was grateful that someone was brave enough to own up to their mistake, and was happy to forgive and forget. 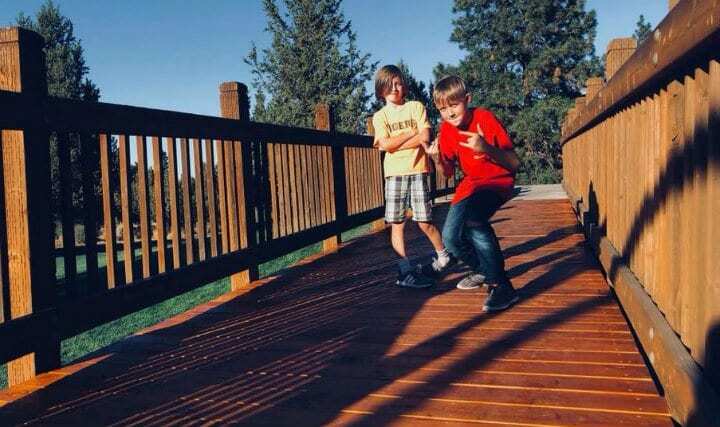 In an earnest offer of friendship, Mahlon was invited over to the classmate’s house for his first ever playdate! 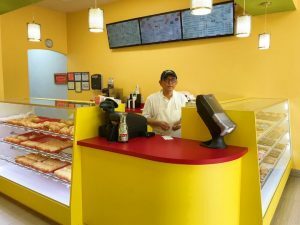 Mahlon could not have been more grateful for the kindness of strangers in helping support him at a time when he felt so friendless and alone. After the whole ordeal, the happy yet unassuming Mahlon had finally found his voice, and was confident he was worth befriending. Mahlon’s first playdate was an absolute success, and plans were made to have another playdate at Mahlon’s house next time. Kirsten too felt as though she had made a new friend after speaking with his classmate’s mother. 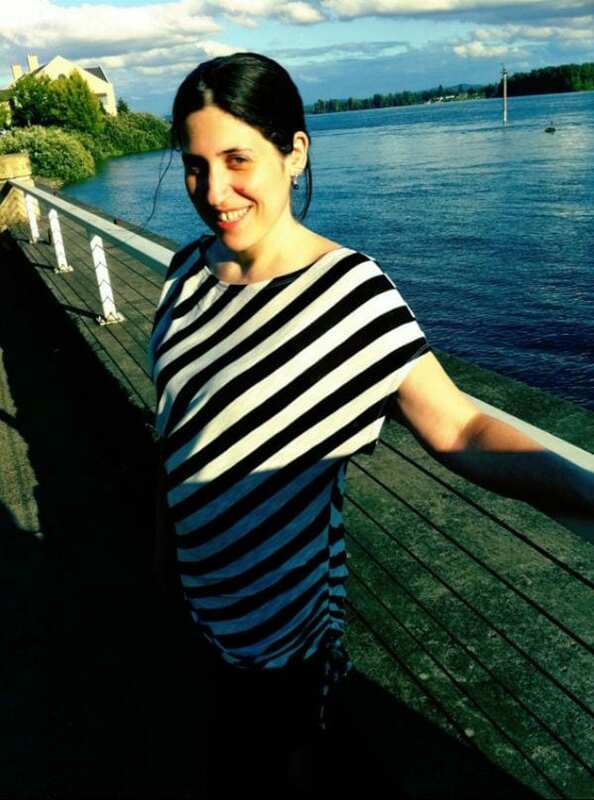 With such an outreach of friendship from so many new people, Mahlon was inspired to give back. Kirsten never predicted that her blogpost would reach such a wide audience, and she certainly couldn’t have imagined how many cards and gifts Mahlon would receive. 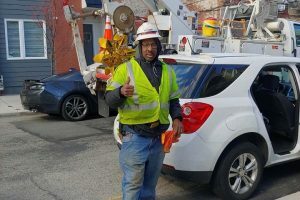 Mahlon, always thinking of others, wanted to share in his good fortune, and pay it forward. After hearing that too many people in the world could relate to his disappointing birthday party, he wanted to do his part in ensuring no other child has such an unhappy birthday. Many of the toys Mahlon had received that October were donated to charity just two months later at Christmastime. And as his mother, Kirsten received an overwhelming response to the events as well. While many people praised Kirsten for her parenting, as is often the case when stories go viral, there will be negative responses too. Strangers were unfortunately equally quick to accuse Kirsten of capitalizing on her son’s traumatic birthday to drum up traffic on her blog. Kirsten couldn’t help but begin to let doubt creep in over how she handled Mahlon’s birthday party disappointment. Despite how incredibly touched Mahlon, Kirsten and all the Layne family felt after receiving such kindness from so many, the family was suddenly, and unintentionally thrust into the public eye. Kirsten wondered, should she have posted about the party so publicly? Amongst the well-wishers who had reached out to Mahlon, Kirsten got one special response. 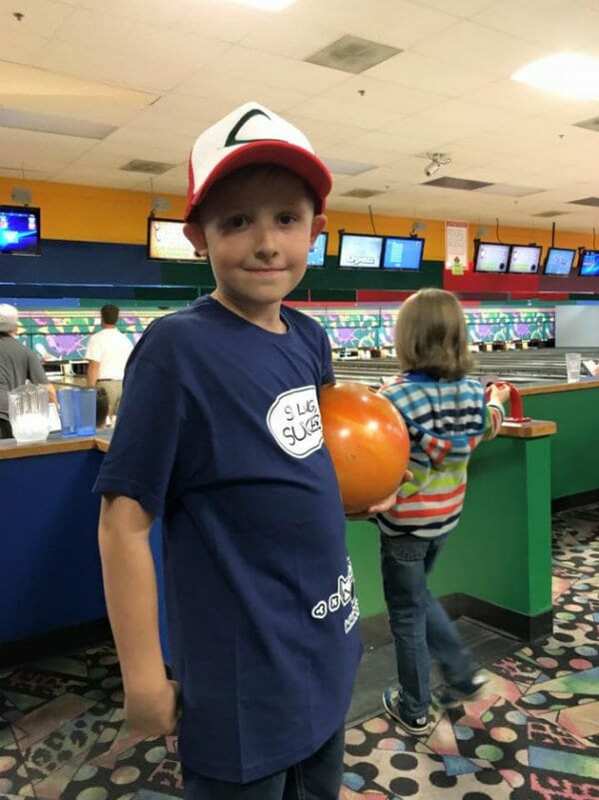 After reading about Mahlon’s birthday party, one mother relayed that she had taken Kirsten’s plea that parents RSVP to heart, and committed her daughter to a classmate’s party. 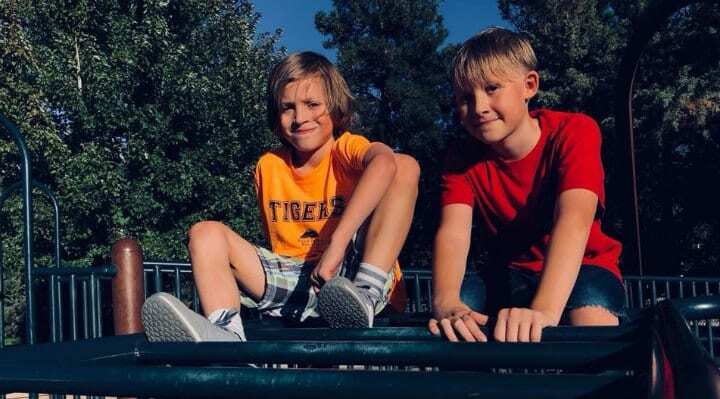 The mother explained that after bringing her daughter to the party of a new kid in class, they quickly realized that they were the only ones to show up, and even just one new friend was enough to make the birthday kid happy. Kirsten’s doubts were put to rest, and she hoped the RSVPs for Mahlon’s upcoming 10th birthday would be different this time too. As the leaves turned and October arrived once again, Kirsten started to grow nervous. 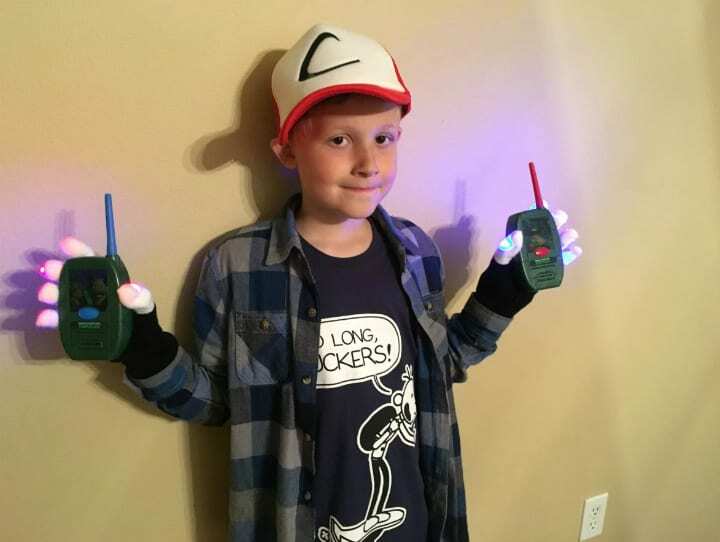 It had been a year since that disastrous party, and as his birthday approached Mahlon was determined — he wanted a complete redo for his 10th birthday. Would he be disappointed once again? 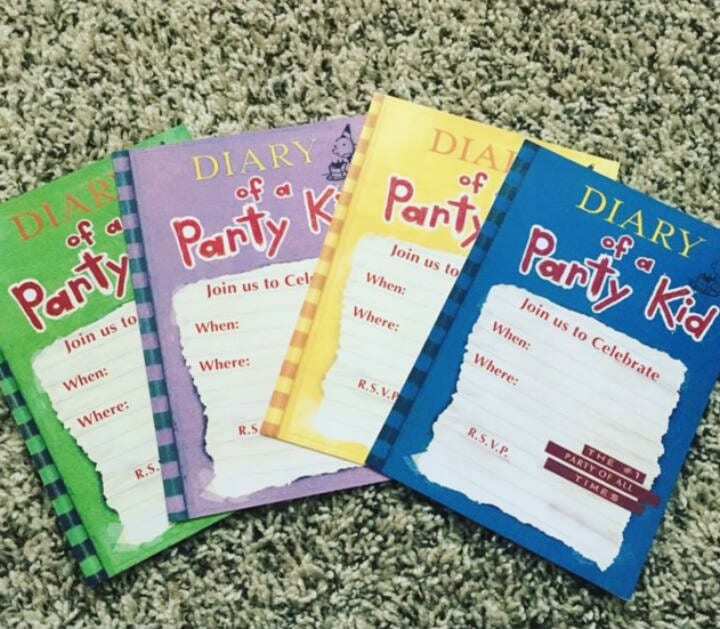 Digging back into the “Diary of a Wimpy Kid” party box from the year before brought up so many painful memories for Kirsten, and she decided that should no one RSVP, she would have no reservations in cancelling the party. So, they sent out the invitations and anxiously waited for their first response. Everyone (except for one family with a scheduling conflict) RSVPed yes to Mahlon’s 10th birthday! One year later, Mahlon could not have been more different from the disappointed and rejected little boy. He was surrounded by friends, love and laughter.